Your opinion matters. Leave A Review Or Edit This Listing for Wellspring Food Distribution Center. Through Foodlink and Mobile Pantry, a service which offers free fresh fruits, vegetables, baked goods, dairy products, and more, hundreds of families are served each month! And the numbers continue to grow! In addition to these great services, the $AVE Program is available on Food Distribution Center nights, which is designed to help you stretch your food dollars. The $AVE Program is available to EVERYONE - there are no income guidelines or contracts! You can build your box of food based on what YOU want to eat. Our goal is to provide you and your family with quality food options at incredible prices! You can pre-pay using EBT, exact cash, or credit cards including Visa, MasterCard, American Express, and Discover. 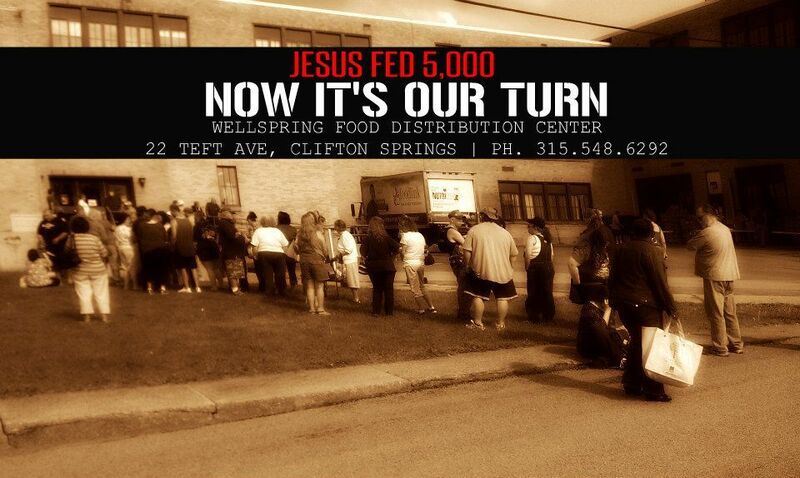 If you or someone you know could benefit from the services available at our Food Distribution Center, then we encourage you to come to Wellspring between 5:00PM and 7:00PM on the Tuesday's that Food Distribution is open. We always need more information on our pantries. If you know of any details, volunteer information, website, hours or more description information about Wellspring Food Distribution Center please add a comment (below the map on this page), with information. We will then display this for all visitors on this page.